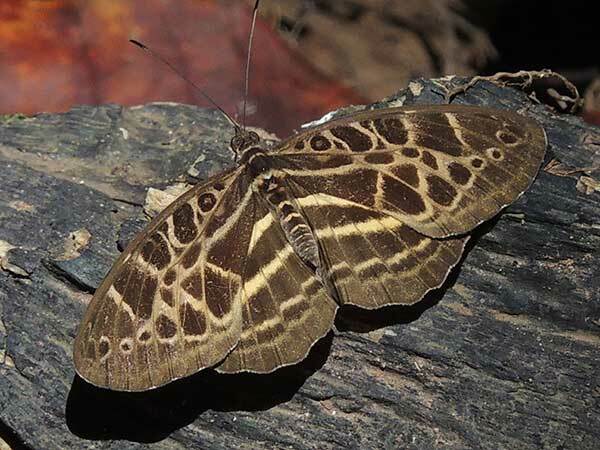 Many of this species were flying at Kakamega Forest, Kenya, 16 Dec. 2014. These small butterflies flit softly, close to the ground and along the ground where soil is exposed within secondary rain forest growth. Using their proboscis, they will feed on liquids from fallen fruit.